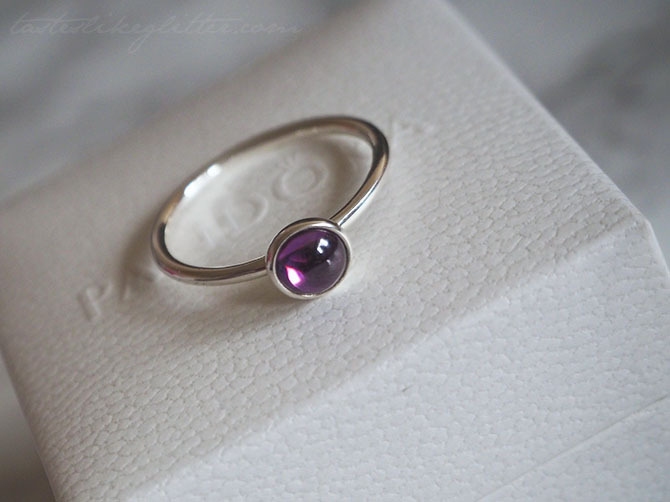 Pandora Purple Poetic Droplets Ring. Every now and then there's something that captures my eye from the Pandora collections that I simply must have. When I saw the promotional images for the unadorned and simple designs of the new Poetic Droplets rings, in blue, pink, clear and purple shades. I just knew I had to have the purple. A few days after it's release I went to my favourite Pandora store, only to find they didn't currently have it in. When visiting again last week I thought I'd pop in and see if they had this time around. Turns out they did and in my size too! It was obviously meant to be. The new Poetic Droplets rings come in two sizes, I opted for the smaller of the two as I feel it would fit better when stacking it with other rings. The ring is made from sterling silver with a thin, rounded shank. Meaning that it sits nicely on the finger and feels smooth whilst moving it on and off. I barely notice it's there. The full bezel setting contains a purple cabochon cut cubic zirconia that is completely encase in the setting. Some bezel settings have an open back but this doesn't, meaning that it's easy to clean as there's no where for anything to get trapped. The man made stone comes in a rich purple hue but can look lighter depending on the way the light catches it. Being that it isn't faceted and it's bezel set, it doesn't sparkle like a faceted gemstone would. Instead it seems to glow from within. 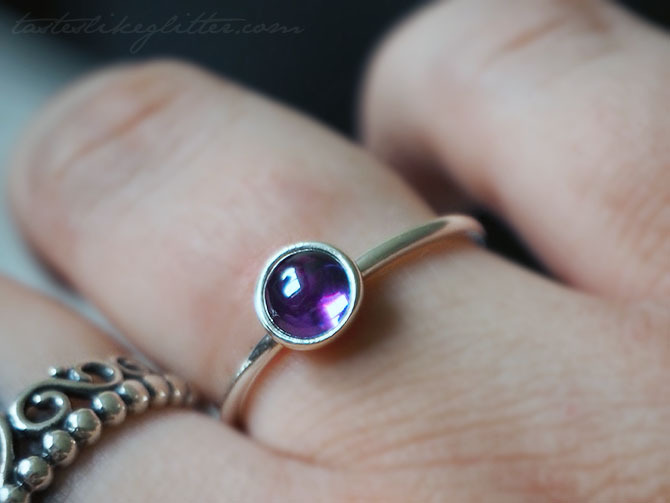 I love the simplicity of the design and feel it'll fit right in when I inevitably end up stacking up a few more rings. On a small end note, I was always curious as to why Pandora mainly used man made stones instead of natural. 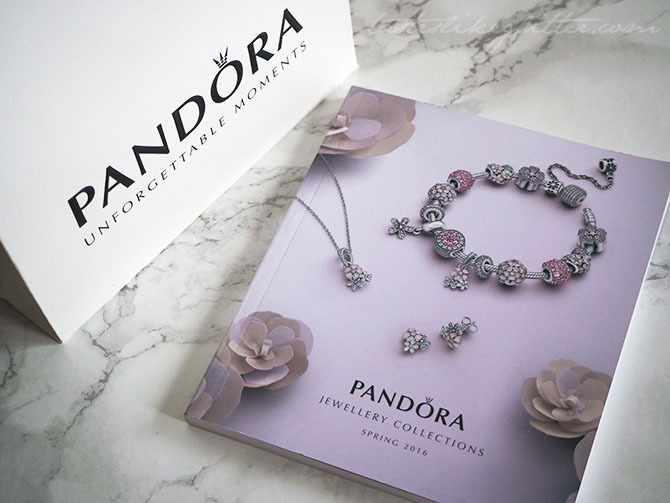 Pandora as a brand are very conscious of the fact that manufacturing of natural stones has a big impact on the planet and it's environment. They're also significantly more affordable and because they are created in a laboratory the colour is always uniform. 10 Things I Love Sunday #6. Where There Is Love There Is Light. Birchbox - For The Dreamers. Byron Burger - The Byronaldo. Yankee Candle - Summer Scoop. Jeffree Star Velour Liquid Lipstick - Scorpio. The Library Of Fragrance - Marshmallow. Urban Decay Naked Smoky Palette.